SEATTLE (AP) — Shane Bieber struck out five and combined with three relievers to hold Seattle to six hits as the Cleveland Indians beat the Mariners 4-2 Tuesday night and stretched their winning streak to three games. The Mariners extended their major league record home-run streak to start the season to 20 games. 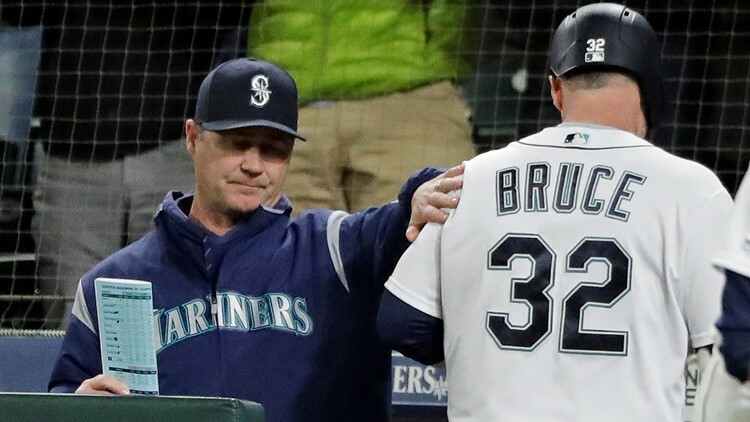 Seattle now has 42 home runs, yet is mired in a five-game losing streak after a stretch of six straight wins that once had the Mariners atop the standings. It wasn't the cleanest effort by Bieber (2-0), who worked out of trouble several times to keep the Mariners at one run for much of the game. Bieber matched his season total with three walks, but improved to 9-0 on the road in his career. His 13 straight road starts without a loss to start his career is the third-longest streak in the major leagues since 2000. Jay Bruce hit his eighth home run, a solo shot to right-center field in the eighth. That homer made Seattle just the 10th team since 1908 with a 20-game home run streak. Seattle entered the game leading the major leagues in extra-base hits (82), but was stymied by Bieber. The Mariners manufactured a run in the second to take a 1-0 lead. After Tim Beckham reached on a walk, he advanced to third on a wild pitch by Bieber that catcher Kevin Plawecki lost view of as it dribbled about 15 feet away from the plate. He then scored on a single by Tom Murphy. From there, Bieber worked out of trouble in the first of five different innings in which the Mariners had runners in scoring position. He got Dee Gordon to hit a weak grounder with two on base after Beckham's score in the second. In the fourth, he struck out Murphy with a runner on second. He issued his third walk to Gordon to start the fifth. It marked just the second time in 22 starts that Bieber gave up more than two walks in a start for the Indians. He faced a scoring threat again when Mallex Smith followed with a single. But Plawecki threw out Gordon as he attempted to steal third base and Bieber struck out Domingo Santiago to end the inning. The Indians jumped on reliever Roenis Elias to put a close game away. Elias gave up a leadoff single to Tyler Naquin in the seventh, then moved him to second with a one-out balk. Mike Freeman brought him home with an RBI single and was replaced by pinch runner Max Moroff, who scored on Leonys Martin's double, making it 4-1. Leake got double plays in the first and third to keep the Indians scoreless. He appeared headed for a third double play when a diving Gordon gathered in Jason Kipnis' ground ball behind second, then flipped it out of his glove to Tim Beckham, who forced out lead runner Jose Ramirez. But the ball slipped out of Beckham's glove on the transfer, allowing Carlos Santana to reach first on the fielder's choice.